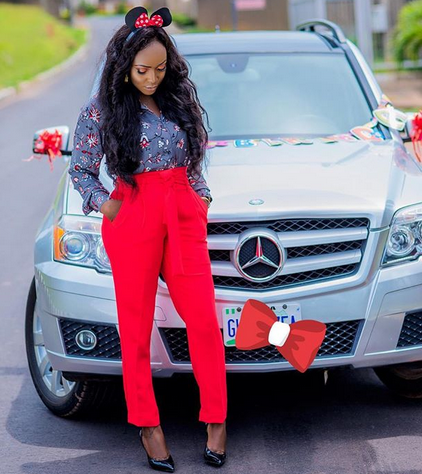 Popular relationship blogger, Blessing Okoro of “Break or Make up” Instagram blog, is 29 today and she has gifted herself a brand new Benz. You will recall that last week, she showed off her newly built home with a deep story. 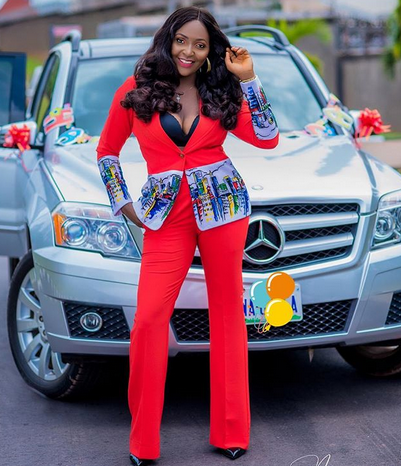 Now she has shared another deeper story and photos of her new Benz. They called me a story teller and today the story has yielded result. NKIRUKA you have earned it . 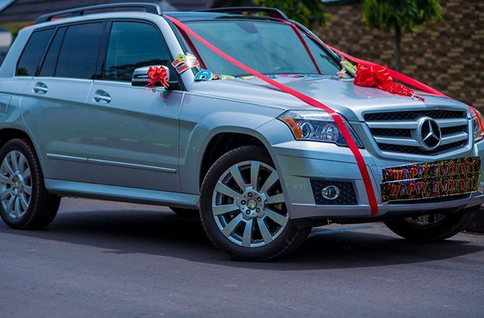 So I gift myself this Benz as my 29th birthday gift …. Just because you asked I will share . It all began few years ago, in my times of pain and depression, I desperately needed someone to talk to, I had no friends, and was too ashamed to talk to family because of fear of judgment. I carried a burden as a young girl with no one to help. I went from church to church, prayer house to prayer house but no solution, nobody was listening all they said was pray pray , but I have been praying. let me express myself . Some twisted the Bible upside down . They asked me to go back and beg the man who abused me, domestically violated me and more, I had to go because I wanted to respect the Bible, but he rubbished me . I wept in the road as people watched me when he zoomed off . I gathered my bundle of shame and went into depression. He said I will amount to nothing but a prostitute if I leave his house 😢. I begged this man to take me back because I was so scared to face life, but he refused . I wanted to die . Little did I know that it was just a process, a fortification to greatness . Little did I know that some day I will use the story to inspire and teach other women how to be strong . Then I took on my journey, it was not easy but I kept pushing . Came into social media, saw it was an open ground, a free place , then I decided to write my story , I penned everything down and felt better , relieved, that was when the dream of @break_or_makeup began . My name is Okoro Blessing Nkeiruka. Secondary school, federal government college okposi . Studies economics in the university of calabar . Currently working with the Nigerian police force pensions by profession , relationship blogger by passion, wife , mother of 2boys and a lover of God . Hey you young man and lady , if you can read this then you can also do better .